An atmosphere of 2D air combat in which your goal is to destroy opponent’s defenses and aircrafts. Build your strategy with your friends or against them to win on every game mode. 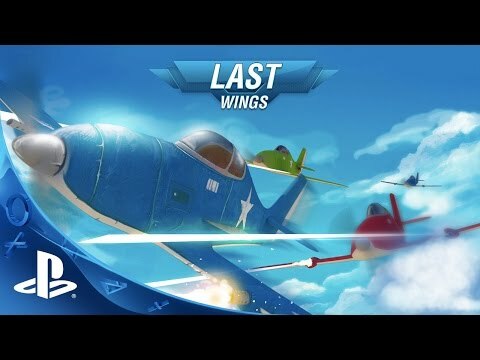 Last Wing is a fast paced air combat game, whose focus is only combating! Try to stay alive! Last Wings is a game of quick and dynamic air combat, developed in a mixed environment between 2D and 3D. Play alone or in a team of up to 4 players on local mode, but if you prefer, start a battle on online mode with up to 10 players and challenge the greatest competitors of this war. Silver Bullet: Agile and fast plane, though not very resistant, with average firepower. Hawk: Inspired on World War I planes, it has as its main characteristic the resistance to missiles and bombs, besides rapid fire shots. War Jumbo: Military cargo plane with its main characteristic to withstand multiple attacks without losing strength, high resistance and firepower. It's possible to customize each plane's weapons according to each battle, making each match a unique experience. Score Attack: Individual combat, all against all, the winner is the one to kill most airplanes first. Team Fight: Combat in teams, the winning team is the one to kill the most airplanes first. Team Fight Rounds: Combat in teams but in rounds. The planes possess only one life per Round, the winning team is the one that wins more rounds. Base Attack: Combat between teams, the winning team is the one that destroys the central enemy base first.